The Budweiser Dome is Revealed...Full Lineup Released! The Bud Dome schedule has been released and it's amazing! Come experience the future of Country music in an entirely new way. Never before seen at the CMA Festival, or any Country music festival, be the first to see your favorite superstars in a 360 experience. The Bud Dome will be debuting concerts filmed in 360 by Lady Antebellum, Gary Allan, Eric Church, Kip Moore, and Dierks Bentley. Live performances by special surprise Grammy winning artists as well as Gary Allan, Shenandoah, Deana Carter, Canaan Smith, Maddie & Tae, Lauren Alaina, Clare Dunn, Eric Paslay, and more! 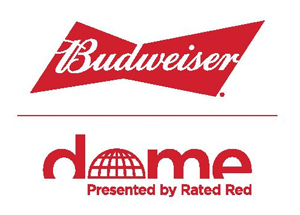 Click here for the Official Budweiser Dome Website!